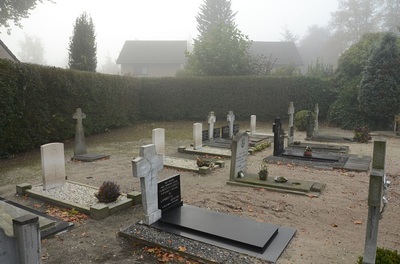 Uden is on the main road between Eindhoven and Nijmegen, about 29 kilometres from each. 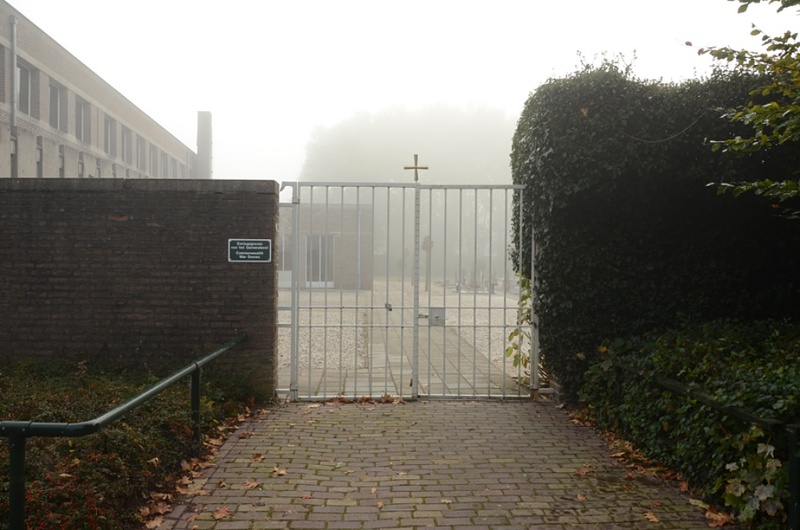 Odiliapeel is a village 7 kilometres east of Uden. 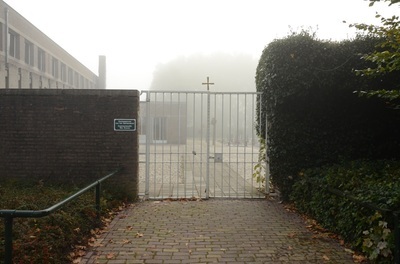 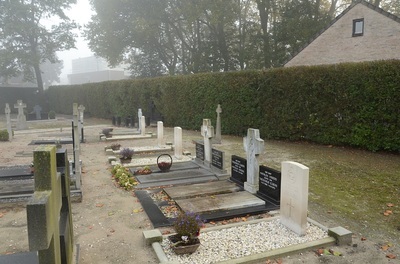 This cemetery is directly behind the Roman Catholic Church, in the centre of Odiliapeel. Here are buried 4 airmen of the Royal Air Force, the graves being in the south-south-west part of the cemetery. 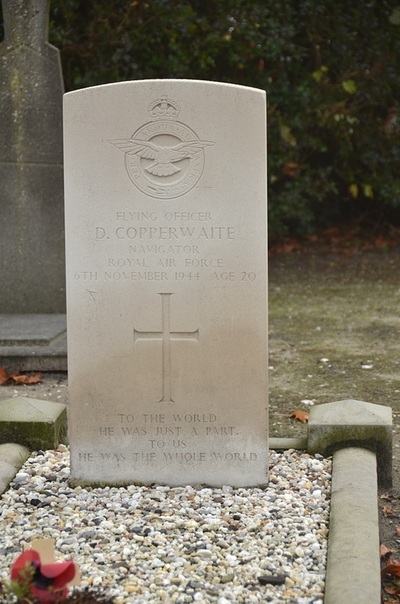 143107 Flying Officer Derrick Copperwaite, Navigator in 140 Squadron, Royal Air Force Volunteer Reserve, died 6th November 1944, aged 20. Son of Alfred William and Alice Tryphena Copperwaite, of Fulham, London. 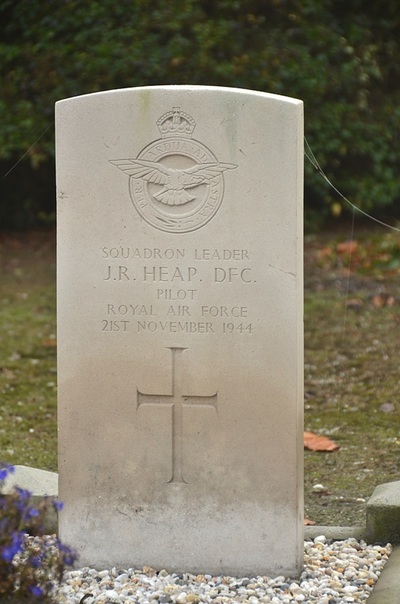 100567 Squadron Leader John Rolleston Heap, D. F. C., Pilot in 274 Squadron, Royal Air Force Volunteer Reserve, died 21st November 1944. 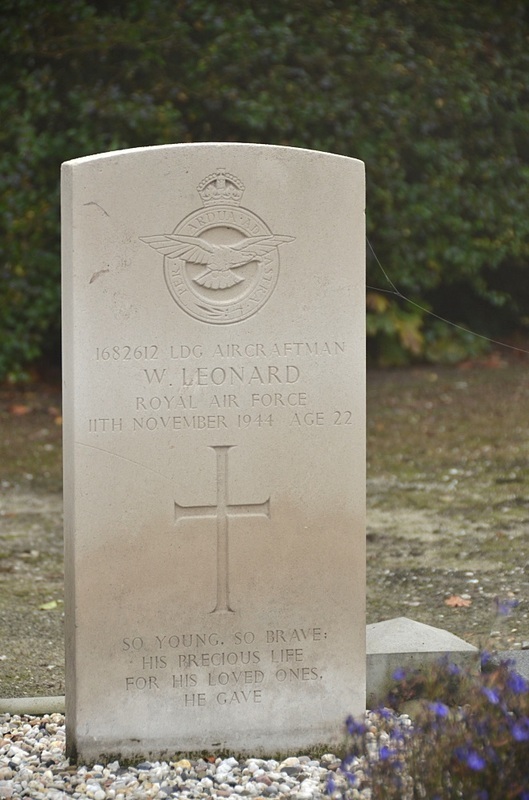 1682612 Leading Aircraftman William Leonard, 2809 Squadron, R. A. F. Regiment, Royal Air Force Volunteer Reserve, died 11th November 1944, aged 22. Son of William Leonard, and of Hilda Leonard, of Loxley, Yorkshire.